Child custody agreement forms are used to set out the terms of a custody arrangement for minor children. 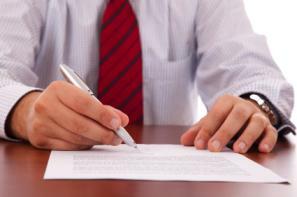 It is a legally binding agreement and should only be signed after obtaining advice from a licensed attorney. There are a number of different child custody arrangements that can be worked out between parents. In some cases, one parent has sole physical custody of the child and the other parent has visitation rights. Another arrangement that can work in some cases is one where both parents share custody of the child. The child may spend a few days every week with one parent and then the rest of the time with the other. Some parents work out an arrangement where the child stays in the same home but the parents take turns staying in the house. This is a viable option only in cases where the parents can establish a positive and cooperative relationship around caring for their child. Using child custody agreement forms is a good choice because the document clearly outlines the arrangement that will be in place for custody of any minor children. It formalizes the arrangement and serves as written proof if there is any dispute about which parent should be making decisions about the child's education, medical treatment, religious education, etc. FreeLegalForms.net offers a custody form that can be used in a situation where a minor child's mother is ill and not expected to recover and custody is being given to the minor child's grandparents. In this hypothetical situation, the biological father is given generous access to the child on request. Visitors to the PublicLegalForms website can find a very simple, fill-in-the-blank child custody and visitation form. The terms of the agreement are clearly set out and once the form has been updated with the child's name and the days and times of the visitation schedule, both parents need only to sign it to finalize their arrangement. Kids First! takes a different approach. This site sells specialized software that parents can use to make their own custody agreement forms and parenting plans. Users don't need to have any specific legal expertise to use this tool; they are asked a series of questions and the software generates documents based on their answers. According to the copy on the website, the process can be completed in just a few hours. The forms found online can be retyped and altered to fit a specific set of circumstances, as desired. They can also be used "as is" if the parents are able to find one that meets their needs. If divorcing parents are considering using software to generate a custody agreement form, they should find out whether the site owner offers a money back guarantee if the buyer is not satisfied. That way, the parents will be assured that the child custody agreement generated will be one that reflects their wishes.